Consider encouraging clients to take their required minimum distributions now to avoid potential for error. Assume your clients are over 70 ½ and are subject to required minimum distributions (RMDs) on an IRA. You know they need to take that distribution in a timely manner, but that leaves a fairly wide window. Should you encourage them to take their RMD now, early in the year? Should they wait until later in the year to take it? Clients don’t have to worry about the 50 percent penalty — RMDs must generally be taken by the end of the year for which they are required to be considered timely. For example, an RMD for 2015 must generally be taken by December 31, 2015 (there is an exception to this rule for the first year a client is required to take an RMD). Although the IRS can provide relief in certain circumstances, clients who miss the deadline leave themselves subject to a 50 percent penalty, assessed on the amount they were supposed to take, but did not. Although December 31st seems a long way off, consider encouraging clients to take their RMDs now to avoid potential for error. It’s not uncommon for clients to postpone taking RMDs until later in the year, only to forget, become ill or otherwise preoccupied, leading to the deadline being missed. Clients have much to worry about in retirement. But if they take their RMDs early in the year, a 50 percent penalty doesn’t have to be one of them. Don’t leave client’s beneficiaries with a tight window — If clients are subject to required minimum distributions this year and they pass away before taking an RMD, their beneficiaries are required to take what would have been their RMD. To avoid a potential penalty, they should take that distribution before the end of the year. The longer a client waits to take that RMD, the more difficult that becomes. For instance, if a client dies now, there’s probably more than enough time for their beneficiary to take any remaining RMD by the end of the year. If a client dies on December 15th, however, that’s not likely to happen. In order for beneficiaries to set up an inherited IRA, they must often provide proof of an IRA owner’s death, such as by presenting a death certificate. At best, it may take days to receive a death certificate; at worst it can take several months or longer. Plus, inherited IRAs can only be funded via a trustee-to-trustee transfer from a decedent’s account. Moving money this way can also be more time-intensive, taking several weeks in some cases. Add all of this together and it’s easy to see why it may be next to impossible for a beneficiary to take a deceased IRA owner’s remaining RMD by the end of the year if the death occurs late in the year. Encouraging clients to take their RMDs earlier in the year greatly minimizes this issue. The remainder of the account can be rolled over and/or converted — RMDs are considered to be the first money distributed out of an IRA owner’s account each year. Furthermore, RMDs are not eligible to be rolled over. Put those two rules together and you realize that, before you make any rollover — including a Roth IRA conversion — clients must take their RMD for the year. Failure to take an RMD before completing a rollover or making a Roth IRA conversion can lead to serious tax issues. For instance, the rolled-over RMD often becomes an excess contribution, subject to a 6 percent penalty for each year it remains in the new account until it is corrected. Example: Jacob is 74 and is subject to RMDs. His RMD for 2015 is $25,000 and he would like to convert $100,000 of his IRA to a Roth IRA. 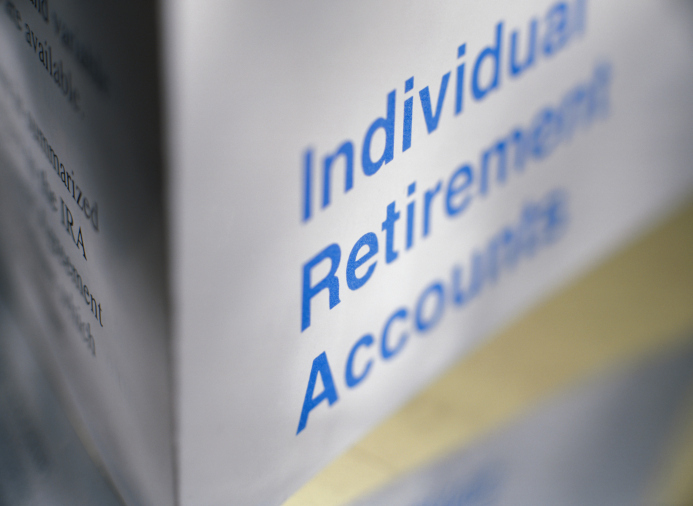 Before taking his 2015 RMD, he converts $100,000 from his IRA to a Roth IRA. Later in 2015, he takes $25,000 from his remaining IRA funds as what he thinks is his RMD. In March 2015, Jacob meets with his CPA, who discovers the mistake. You might be tempted to ask, “What mistake?” But there’s definitely one there. Since the first money out of Jacob’s IRA each year is considered to be his RMD, $25,000 of his $100,000 “conversion” actually consisted of his RMD. Since RMDs cannot be converted, that amount becomes an excess contribution in Jacob’s Roth IRA and will be subject to a 6 percent penalty for each year it is not corrected. Thus, Jacob has only really converted $75,000 to a Roth IRA, and has also taken an additional $50,000 from his IRA, $25,000 of which satisfied his RMD and $25,000 of which was purely a voluntary distribution. None of this is in line with Jacob’s goals. Retirement is hard enough without subjecting clients to unnecessary penalties. By encouraging clients to take their RMD now, before they make a rollover or a Roth IRA conversion, they can eliminate this error. Maximize tax deferral — When it comes to IRAs, tax deferral is the name of the game. The longer a client’s money stays in an IRA, the longer earnings are shielded from taxes. By waiting until the end of the year to distribute a client’s RMD instead of distributing it now, you can give clients almost a full year’s additional tax deferral on their RMD. Any interest, dividends, capital gains, etc. that are earned on the RMD amount between now and when they take it will occur inside the IRA. And therefore, they will not be subject to income tax this year unless distributed from the IRA in addition to the RMD. Example: Frank has a large IRA and has a $50,000 RMD for 2015. Let’s suppose that Frank has the $50,000 RMD amount invested in bonds paying 6 percent. If Frank takes his $50,000 RMD on January 1st, he will essentially add $53,000 to his 2015 tax bill. He’ll have $50,000 of IRA income and an additional $3,000 ($50,000 x 6 percent = $3,000) of interest income earned on the bond which is now outside of the IRA. In contrast, if Frank waits until December 31st to take his RMD (it’s not recommended to wait this long, but it’s used to make a point), he’d just have $50,000 of income, consisting solely of his $50,000 distribution. This may not seem very significant, but over time, delaying an RMD in this manner can have a meaningful impact on the size of your client’s remaining nest egg. No QCD provision currently in place — Qualified charitable distributions (QCDs) are now not in effect for 2015. The QCD provision allows certain IRA owners 70 ½ or older to give up to $100,000 tax-free to charity directly from pre-tax amounts in their IRAs. Perhaps best of all, the amount of a QCD can be used to offset, or eliminate, a client’s RMD for the year. There’s a good chance that, at some point, Congress will retroactively institute the QCD provision so that it would be effective now. They’ve done so each time it’s expired in the past. That said, there’s no guarantee they will do so again. They could just make it effective from the time they pass the legislation (if that happens). Therefore, if clients want to use this provision, should it be renewed, they may want to wait until later this year to either take their RMD or do a QCD. Hopefully, by then there will be some clarity with regard to QCDs for 2015.